Most common mistakes made when moving a house to Australia - find out how to avoid common problems ? Wherever you are planning to move you home we are here to help. Just get in touch with us we will move you house from the UK to anywhere overseas. The majority of problems when moving overseas, between removal companies and their clients, like most of the problems between people, come up due to inadequate communication. The inability to understand another’s point of view and explain owns reasons are a problem that has plagued the human race for ages. In additions there is always a conflict of interest as no one wants to spend a fortune on their removals and the consensus seems to be very far away. Some people do not pay enough attention when preparing a list of items to be transported as they think it is not important. In most cases the shipping cost to Australia is based on the cubic volume. Movers need to know how much space your goods will take in a 20 foot shipping container. So when the moving company arrives and you have more items than you have declared your freight forwarder has no other choice but to amend the quote accordingly. Fortunately, most problems can be easily prevented. What can I do to avoid most common house moving problems? Do your homework and estimate how many boxes you will have. The dimensions you can find on the internet. Just search for book boxes, wardrobe boxes, glass boxes etc… If you want to make it quick try to estimate how many suitcases would you need if you had to use them. You do not have to be spot on with the number of boxes. An approximate but real figure will be fine. 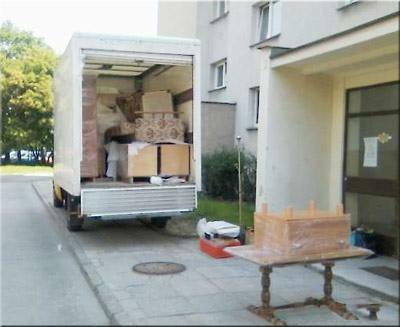 Your house moving quote can be always amended and the difference of two, three of five crates will not make a big deal. If you are shipping furniture from the UK to Australia too take a pen and a sheet of paper, have a walk around your 1, 2, 3, or 4 bedroom houses and decide what will be moving with you to OZ. Do not forget to have a look at what you have in your shed, garage, cellar, attic and garden. Moving method – if you want to move just a small studio, 1 bedroom flat or a small apartment and have just personal belongings in one box or in a few boxes you can use the air shipping service. It is quite expensive but your will receive your things within a few days or within a week. The other option you have is the sea shipping to Australia. Decide how you want to arrange your house move? – Door to door, door to port? Provide the exact collection address and the delivery address. If you do not know the new address, please provide the nearest town or city and ask for a flexible delivery – within 5, 10 or 20 miles radius. Set the house moving date or specify an approximate date. Some months are cheaper to move house to Australia due to the less international traffic. For the insurance and customs clearance purposes try to estimate the total value of your household goods. That’s about it. If you follow the rules above you will not be surprised with additional moving charges. Of course if you are not entitled to move your home under the Personal Import Scheme there will be some additional costs involved like customs and taxes. If you want to be more specific about the moving details you provide your house movers with, to calculate the costing, you can have a look at the further part of this house moving to Australia tips article. Buy some boxes from the internet and after completing the international packing, send the number of boxes, the weight and the dimensions of each box to your house moving firm. Base on that info they will be able to prepare the exact costs. Home moving companies are usually businesses which in a high degree depend on their customer satisfaction. Certainly movers that provide quotes based on the telephone conversation only without the house survey are risking much more than a customer who is not required to close the transaction. Therefore, most house removal service providers try to avoid it by offering a personal quote after seeing the property. First of all, describe exactly the things that are going to carry. Adjectives such as "small", "big", "medium" are not specific enough. If you have any non-standard items, be sure to write down the exact dimensions. Buy a dozen or so identical boxes, and then, after completing the packing, send the number and estimated weight to your company. It will be much easier to determine the real volume of goods. Be sure to inform your firm from what floor you are moving from and to and if there is a lift. The cost of moving from the ground floor house will be different than moving from a 4th floor apartment with no elevator. When shipping goods to Australia there is no need to specify the exact delivery address, but the town or city would be appreciated so that we could check the route before taking the move. We will also answer all your questions including how to move a pet to Australia and overseas? And most importantly: if you have any doubts, do not hesitate to ask. The clear communication is the best preventive measure of any misunderstandings. All you need to know about how to move house to Australia from UK!